It turns out that the person you saw reading a paperback in Congress Park the other day isn’t a digital luddite but following a hot trend. Yes, over the past decade, reading—particularly that of physical books such as paperbacks and hardcovers—has been on the rise. A Quartz article published late last year reports that in 2017, print book sales were up 10.8 percent from four years prior. 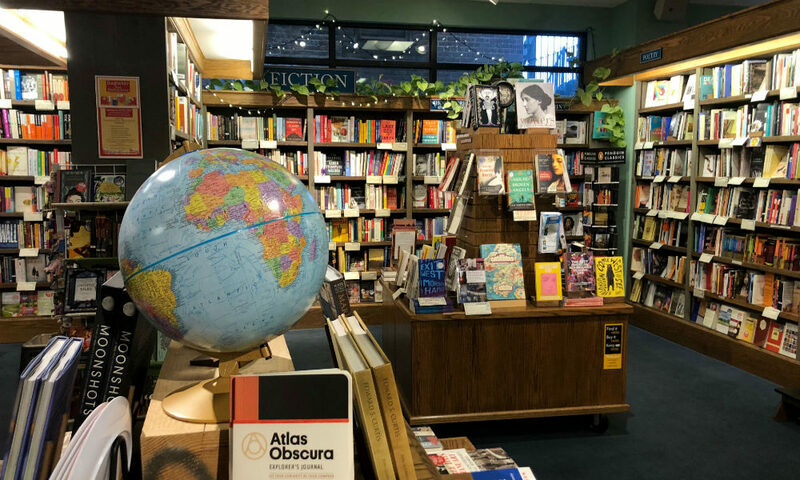 While sales at Barnes & Noble and other large American booksellers are still in steep decline, the number of small, independent bookstores mushrooming up in the country increased 35 percent between 2009 and 2015; and physical book sales have increased every year since 2013 (comparatively, e-book sales dropped 10 percent between 2016 and 2017). And just last October, bookstore sales increased by more than 7 percent. Although today’s consumers are even more plugged in than ever before, one important reason they could be flocking back to the OG book is, ironically, because of that increased screen time. That’s according to Vox, which notes that more people are making a conscious effort to power down the time spent on their phones and computers, and that’s where reading is coming in. Doubly ironic, Instagram, an app you have to be on a smartphone to enjoy, is a major signifier of this shift: new hashtags and online communities are cropping up for readers to post their current literary escapades. “Many [people] can’t resist telling a story [on social media] about themselves as smart, worldly, and well-read,” notes the story.